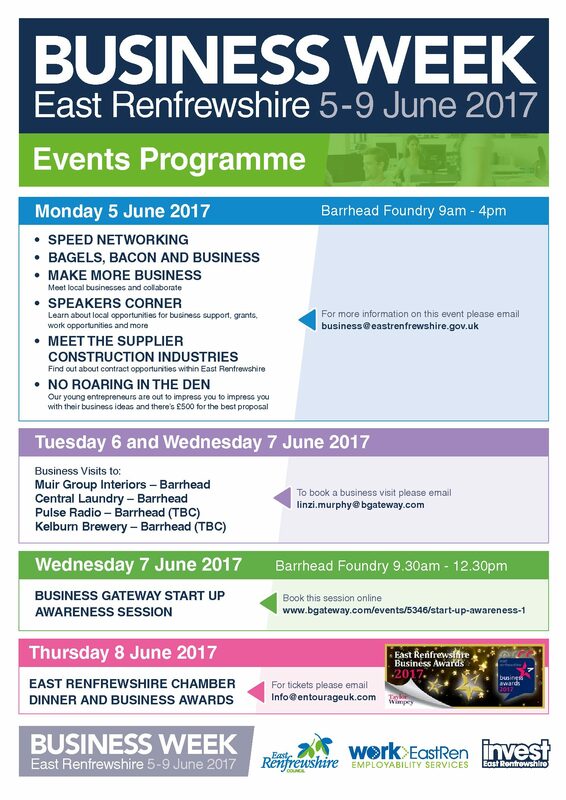 East Renfrewshire will have its inaugural Business Week 5th-9th June 2017. ERCC will be participating and we would encourage our members to look at the exciting and varied schedule of events. We will be available all day at the Foundry Mon 5th 9am-4pm so please come ad say hello. The week will culminate in the 2017 East Renfrewshire Business Awards, hosted by ERCC and we wish all the shortlisted businesses every success.